Our performance times begin at 1:35 this Saturday at Jacksonville High School, address below. 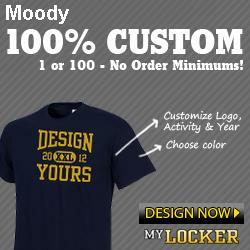 All players should arrive 1/2 hour early, so plan to leave Moody by 12:15. Parents/guardians are responsible for transportation. Directions from Moody to JHS are below. Let me know if you have questions. 3. Turn LEFT onto AL-21 N/JACKSONVILLE STATE UNIVERSITY HWY/QUINTARD DR.
Continue to follow AL-21 N/JACKSONVILLE STATE UNIVERSITY HWY. 4. Turn LEFT onto GEORGE DOUTHIT DR SW.
5. 1000 GEORGE DOUTHIT DR SW is on the LEFT.